Why it is important to have these coverages? Sewer back up: Covers losses from the backing up of sewage into your home. This typically comes from toilets, drains, sinks - these damages are expensive to repair and can cause health issues if not repaired properly and in a timely fashion. Example: basement drain. Overland water: Covers losses from the overflow of lake, large rainfall, melting snow, and rising rivers. Essentially any rising water over dry land would be covered if you have this coverage. Example: Any over flow of body of water. Surface Water: Covers losses from damages caused by a rapid spring thaw, heavy rain - where water doesn't build up under ordinary conditions. Example: Rapid snow melting. Water Escape: Covers losses from damages that arise from clean water suddenly escaping from appliances; dishwasher, washing machine, bathtub, water tank, or a pipe that bursts. "Since I'm just renting, do I really need over land water and sewer back up since I'm not on the basement floor?" Absolutely! In a lot of cases, your valuables are in storage most commonly found on the ground floor. 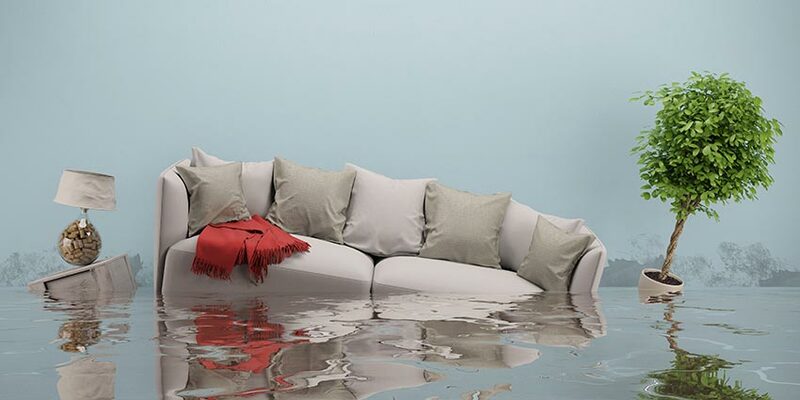 In the event of a large rainfall and the ground floor was to flood and contents damaged - your contents would be covered up to your policy limit. Another important coverage to consider is additional living expenses. If you have to move out of your 5th floor condo because the bottom floor has been flooded, this coverage will kick in to cover hotel costs, extra transport costs, even some food costs! Please speak with your broker and know what coverages you have on your policy and what you don't. Also deductibles can alter depending on where you are - make sure you have your policy in order and the proper coverage to protect yourself & you're home!